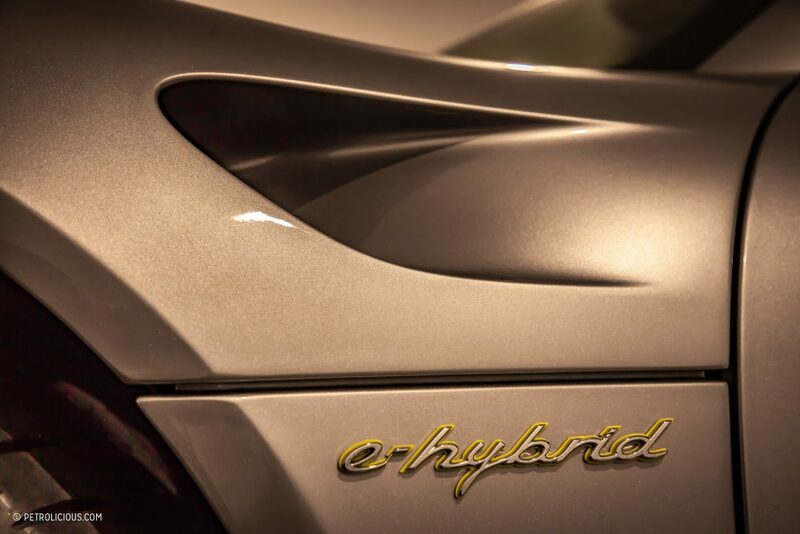 With Porsche celebrating its 70th anniversary this year there has been somewhat of an over-abundance of Porsche displays, so to add another to mix, it needs to be something special. High up on top of a hill in the middle of Portugal is the village of Caramulo. Almost a century ago a wealthy philanthropist called João de Lacerda built a sanatorium to take advantage of the fresh air, and the town was built up around it. 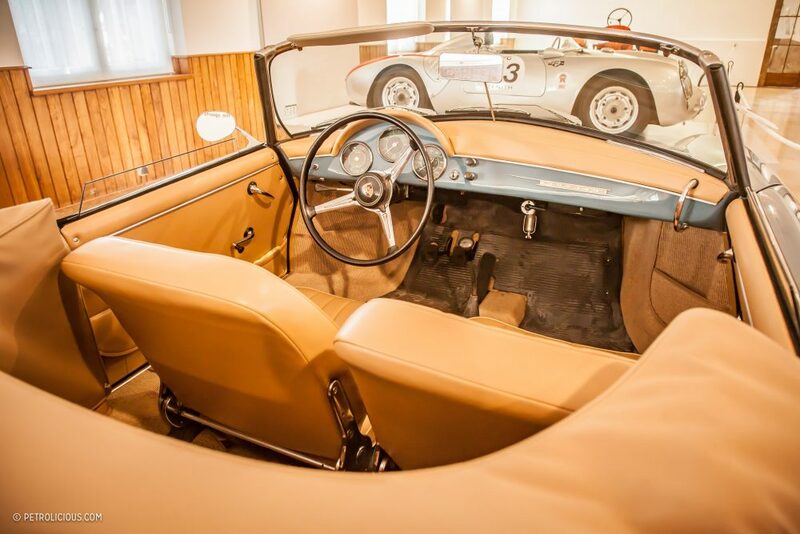 João was also a lover of cars, and in 1959 one of his sons opened the family’s large collection to the public, and it today stands as one of the oldest automobile museums in the world. With stewardship passed down through the generations, this amazing place is now run by three of João’s grandsons. 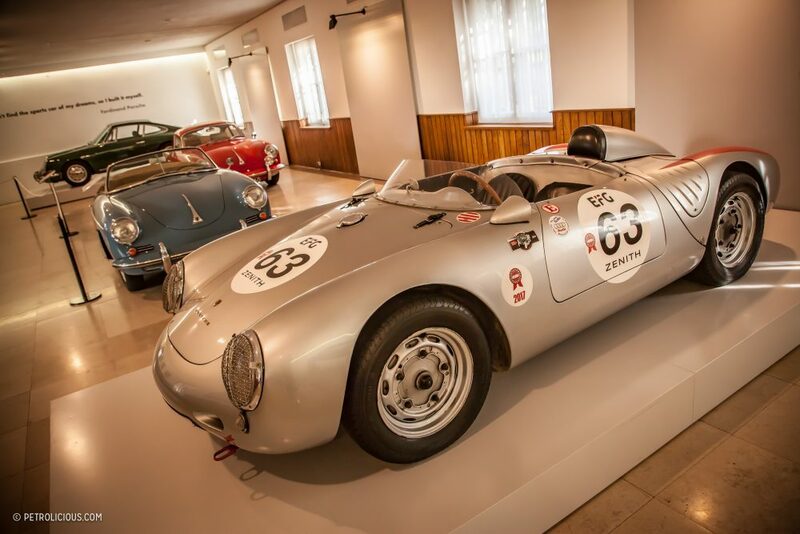 One of them is Salvador Gouveia, and when he put the call out for Porsches to display in the museum, many people from the Iberian Peninsula of Spain and Portugal offered him their cars. 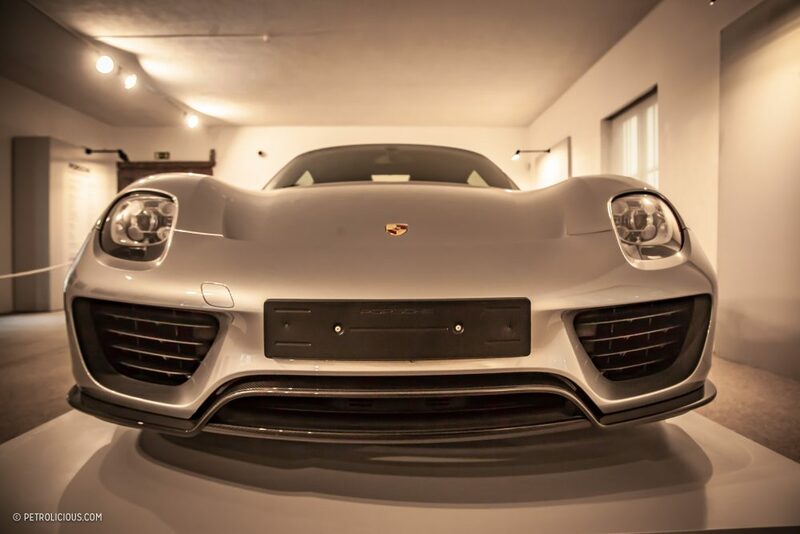 The result is a stunning collection of Porsche vehicles from the marque’s almost exclusively illustrious history. 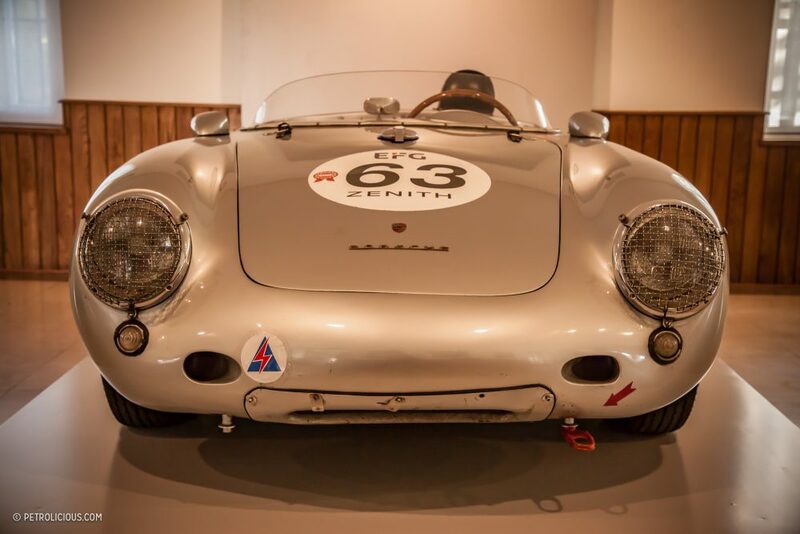 During a recent visit for the museum’s annual MotorFestival, I made sure to set aside time for a stroll around the Porsches indoors. 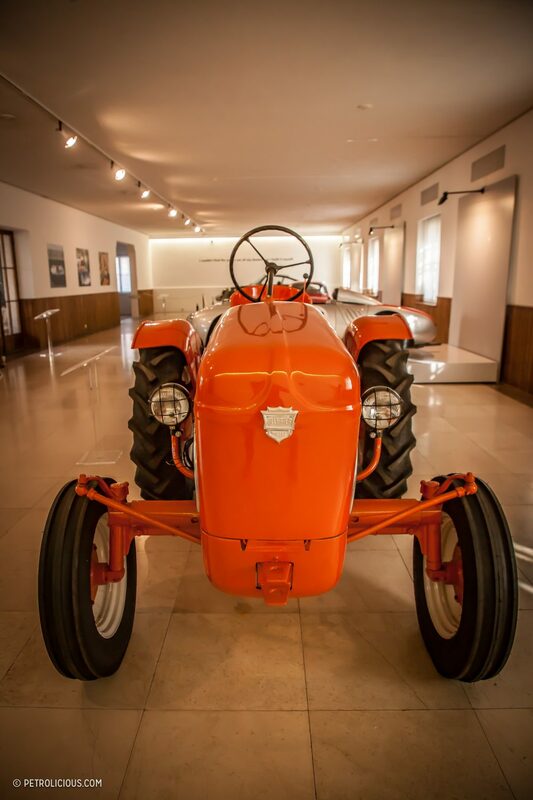 The first vehicle on display is bright orange, but it isn’t as sporty as the color might suggest. 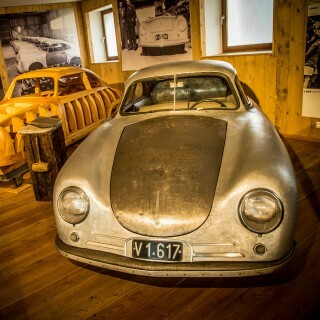 In the old saw mill in the Austrian town of Gmünd, where Ferdinand Porsche and his son Ferry began operations after the war that saw them building the first 356s, they produced farming equipment to bring in much needed money for the new sports car’s production. Tractors were obviously a part of that plan. 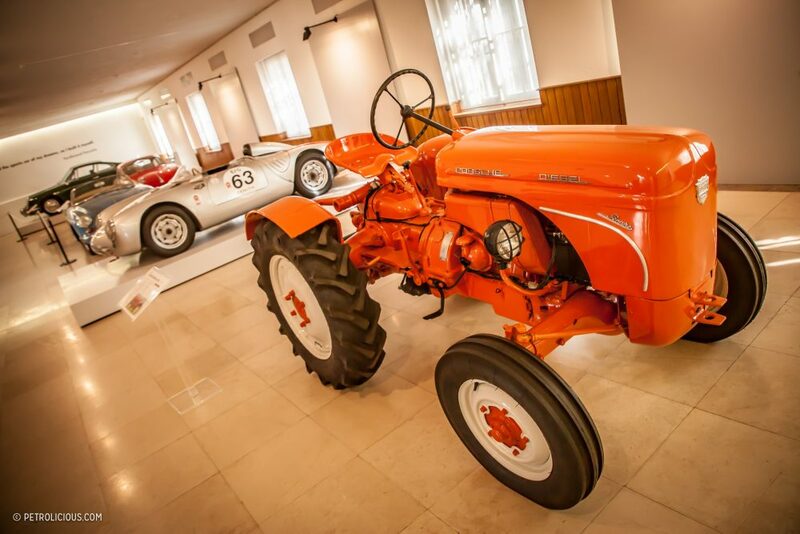 Although it’s nearly 70 years old, as well as being an agricultural machine, it still has in it the Porsche-penned lines that can even make something like a tractor look quite lovely. 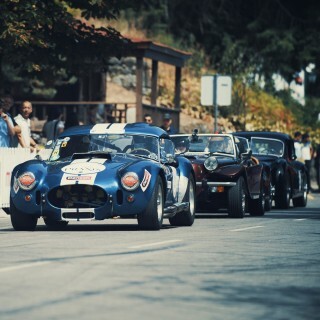 Around the corner, resplendent in bright liveries and big wings are some serious race cars. 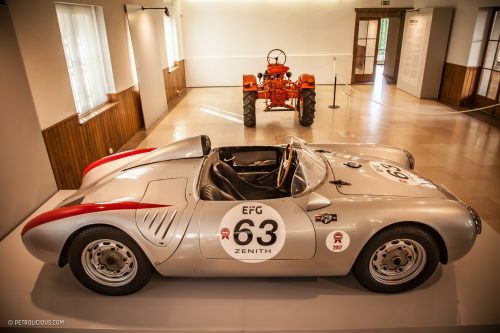 In Portugal the name Américo Nunes and Porsche are indelibly linked, as the multiple-time rally champion drove nothing but Porsches from his very first 356 in 1962 until his eventual retirement in the 1980s. 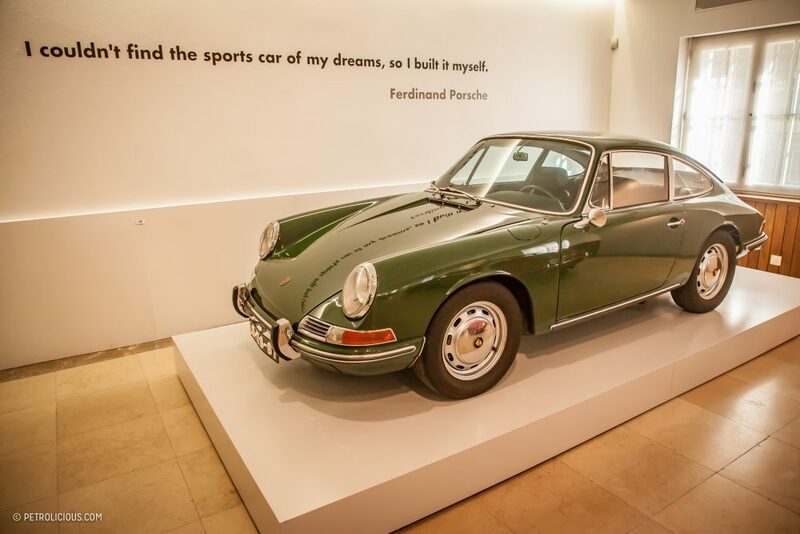 As such, no Portuguese Porsche display is complete without an example of one of his machines. 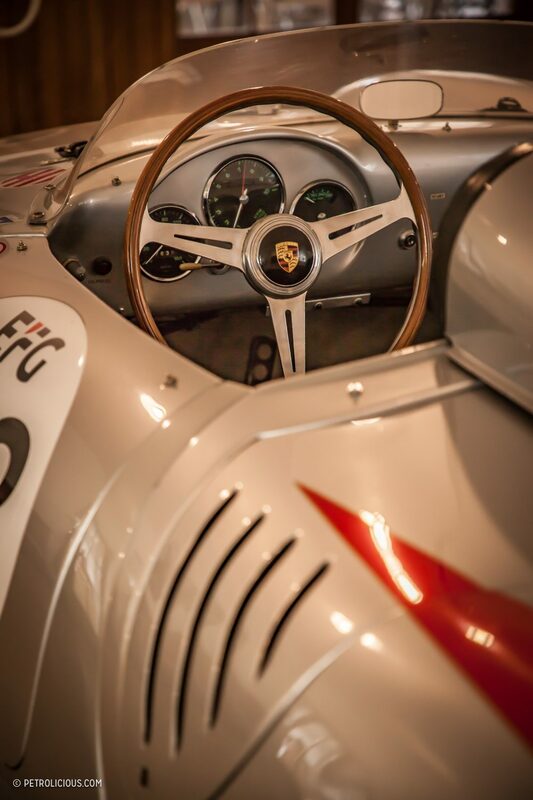 As a privateer driver throughout his career he always had to sell the previous season’s car to be able to afford the next one, and so this gorgeous 906 Carrera 6 is a tribute painted by Nunes’ son Jorge so that his father’s racing legacy has a very visual reminder. 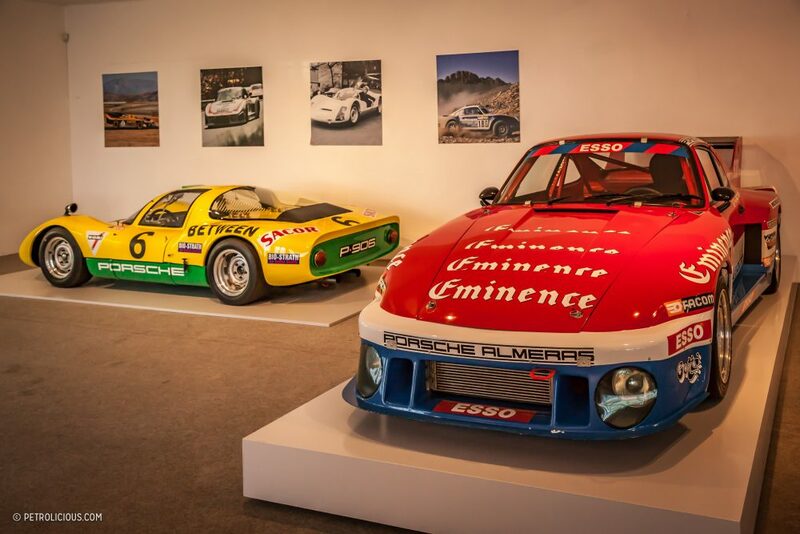 The 935 R4 slant-nose brute next to it is a direct result of the winged Group 5 cars of the mid 1970s. 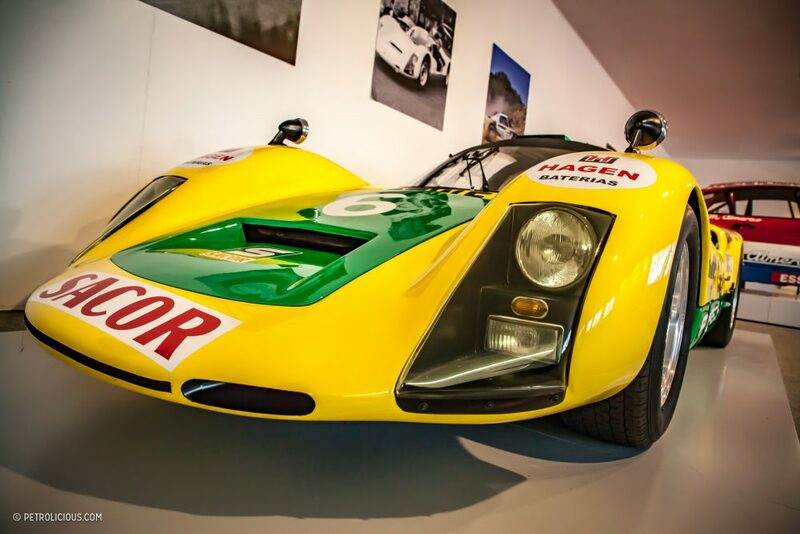 It was known unofficially as the silhouette formula as only the doors, roof, and bonnet needed to be the same dimensions as the road-going counterparts. 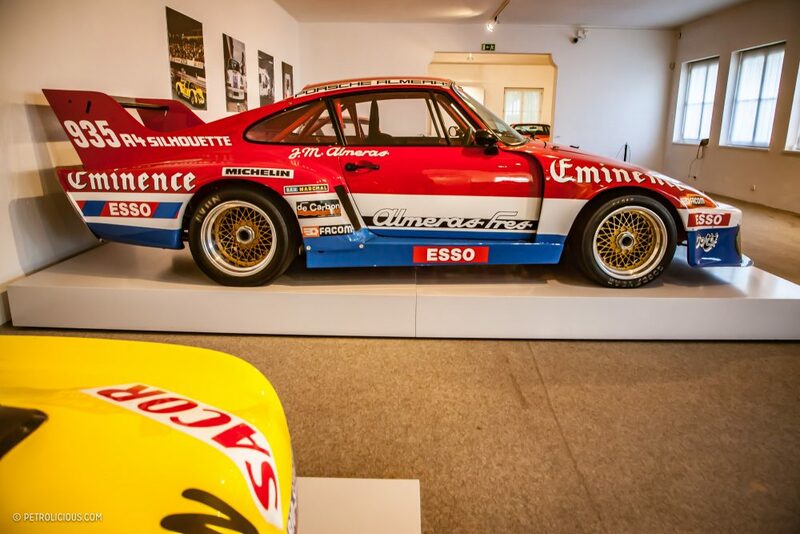 The early Martini-liveried 935 race cars led this innovative series, and a clever body designer noticed a little loophole in the rules about lights and wings not being part of the stock panel requirements. 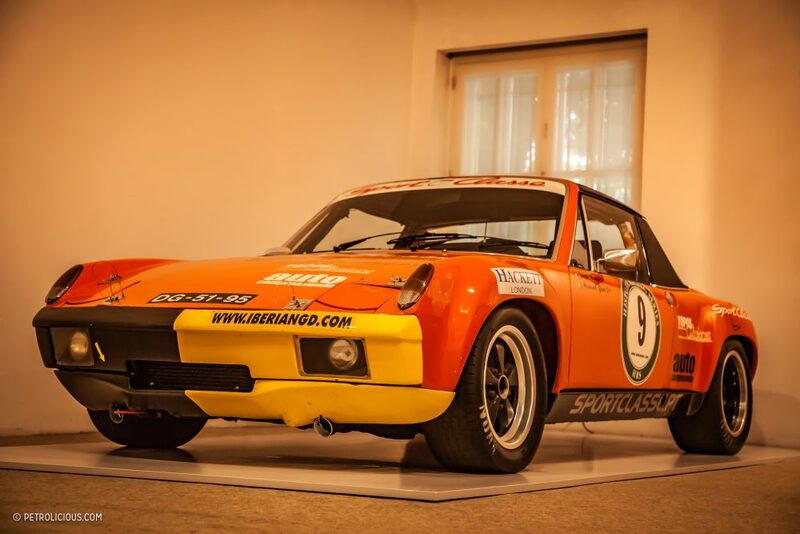 This particular example was made by the famous French Porsche tuners the Alméras brothers, who were responsible for many high-achieving Porsches of the 1970s and ‘80s, including cars that took several WRC wins. 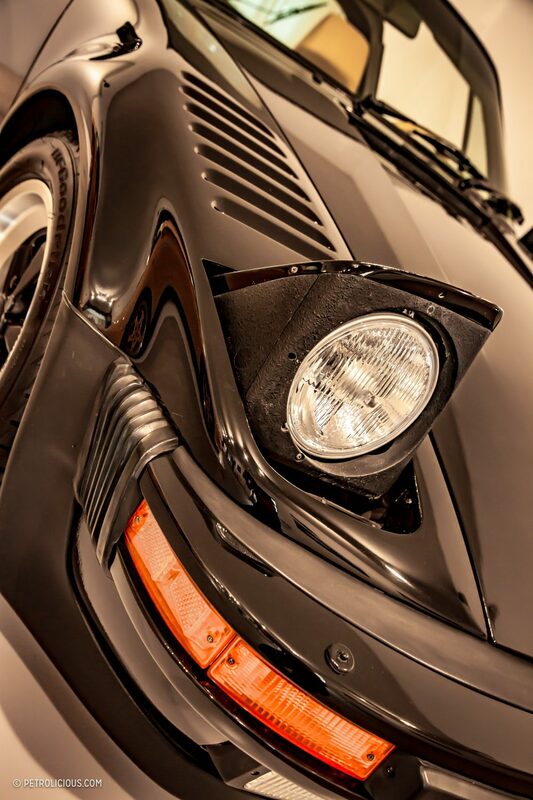 This 935 wasn’t made for circuit racing, but for hillclimbs, a type of competition that demands high power and high downforce, both attributes that make the 935 a great starting point. 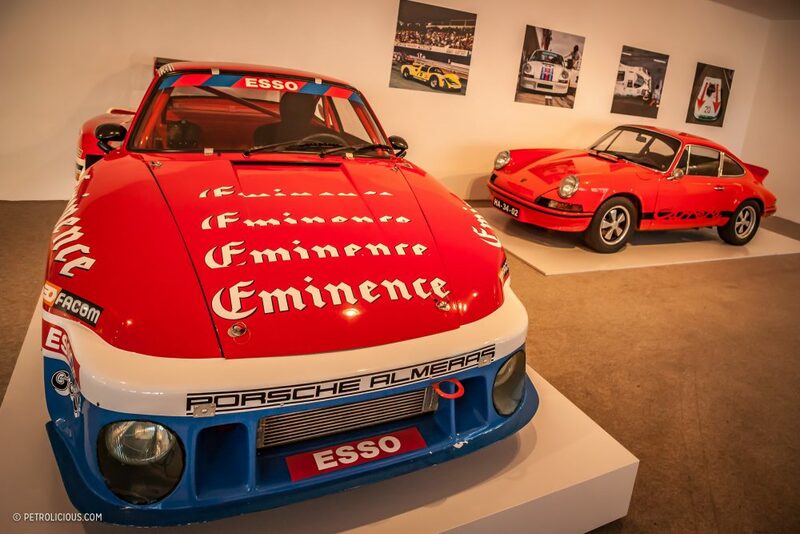 Even though it’s called a 935 though, this car started life as a road-going 930, and rather than a twin or single turbo flat-six like those cars, this one is powered by an RSR engine bored out to 3.5L, which is good for an output of around 380bhp. 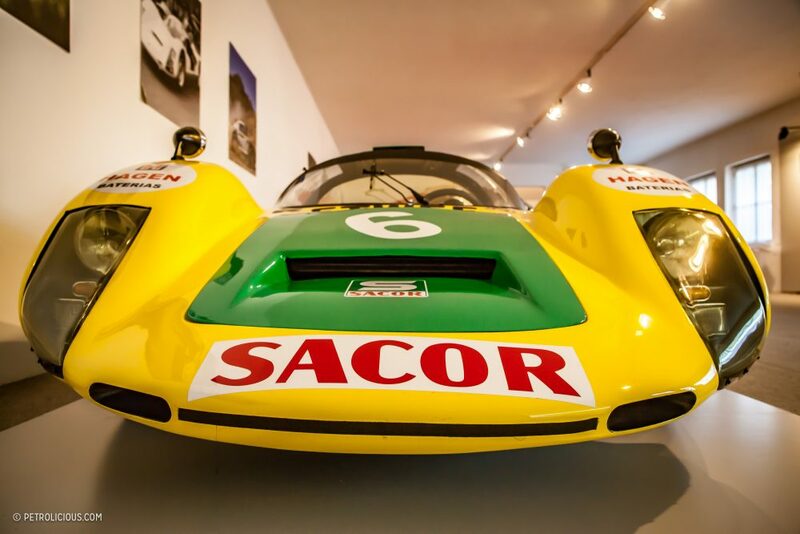 Weighing just 900kg, it was a formidable race car and took Jean-Marie Alméras to the titles of both the French and European Hillclimb championships in 1978 and 1979. 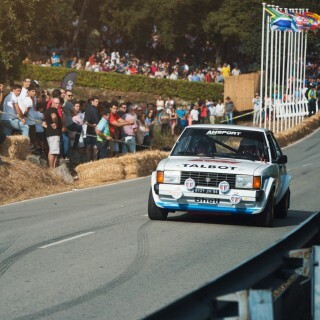 The car is also a winner in Portugal, having taken top honors in an event called the Rampa da Serra da Estrela in 1978. 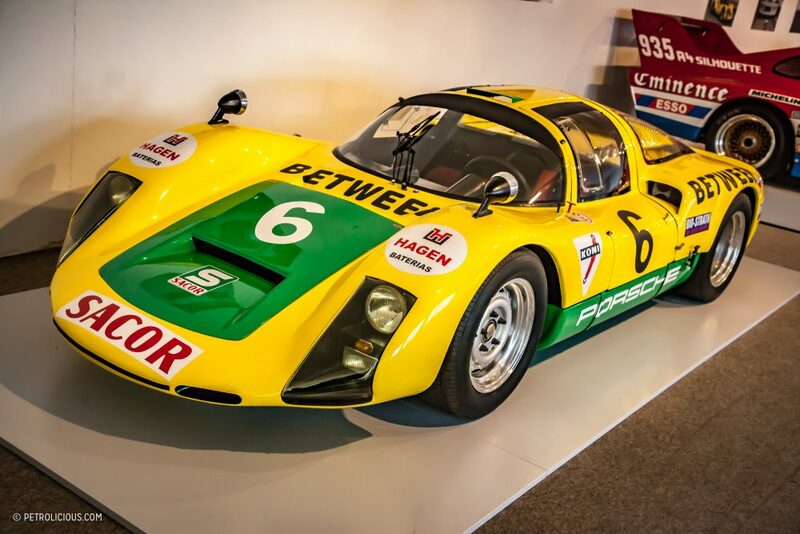 In 1975 a certain Ekkehard Zimmerman of DP Motorsport fame, and designer of the wild bodywork seen on the successful Kremer K-cars, was the first to make a modified slant-nose road car so that Porsche enthusiasts could drive something that resembled the racing version. 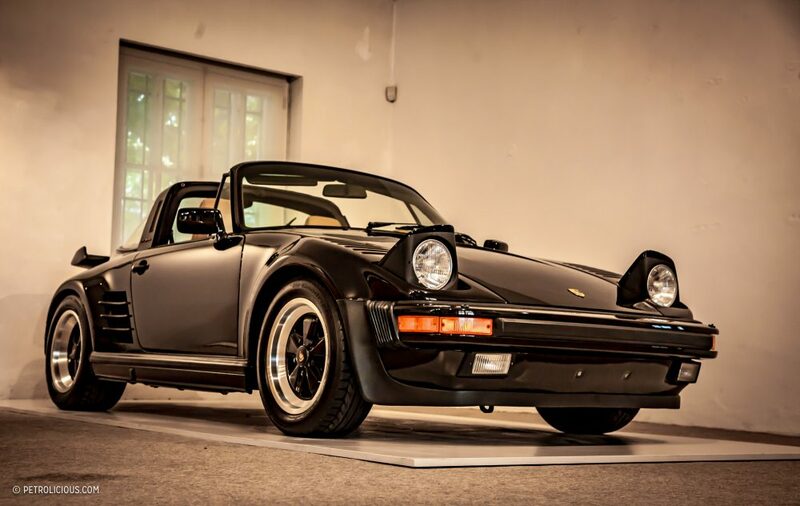 It wasn’t until a few years later in 1981 that Porsche made their own flachbau version… and this stunning black Targa is a nice example of what came out of Porsche’s Special Projects workshop, where, if you could afford it, Porsche would make you pretty much any version of a Porsche you could think of (and pay for). 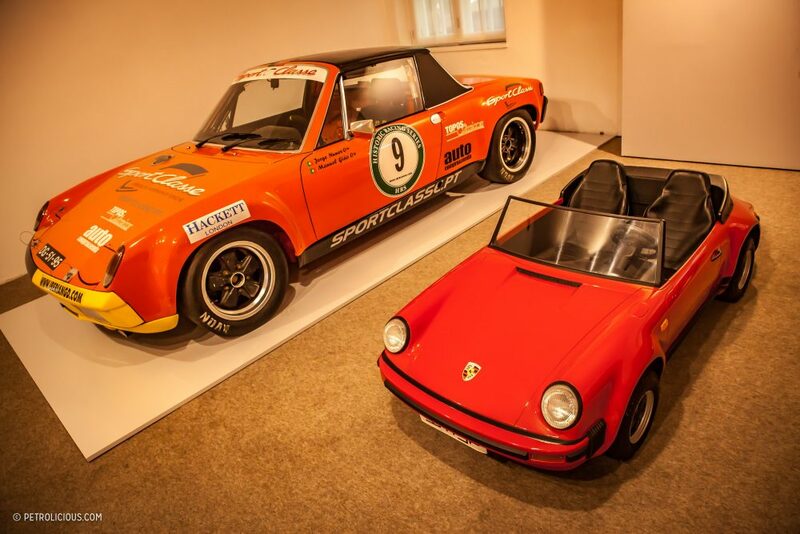 The diminutive little “Junior” in the next room, despite being only1:2 scale, is in fact a real Porsche. And it’s not a peddle car either. 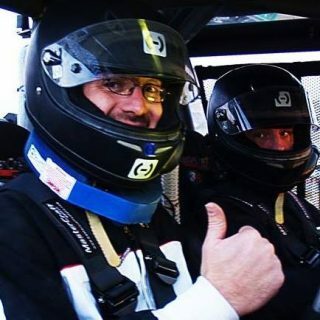 Along with leather seats, working suspension, and disc brakes, it’s powered by a four-stroke 2.5-horsepower engine. 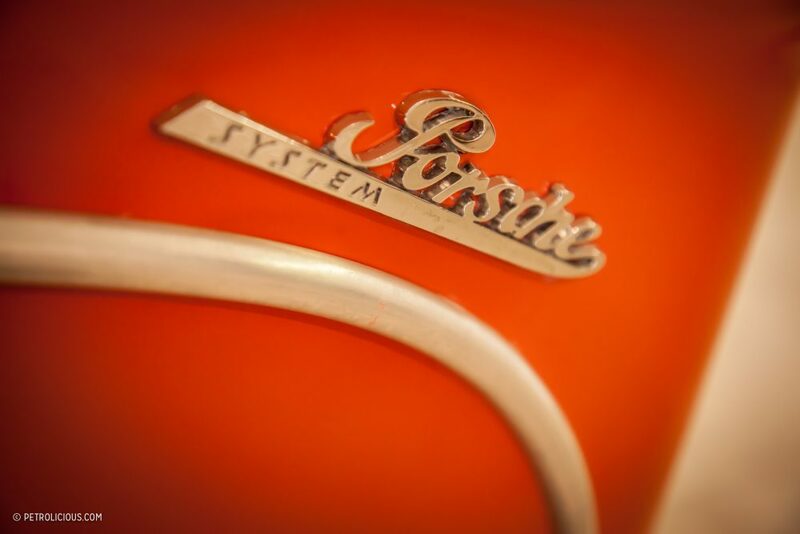 And yes, it’s air-cooled. 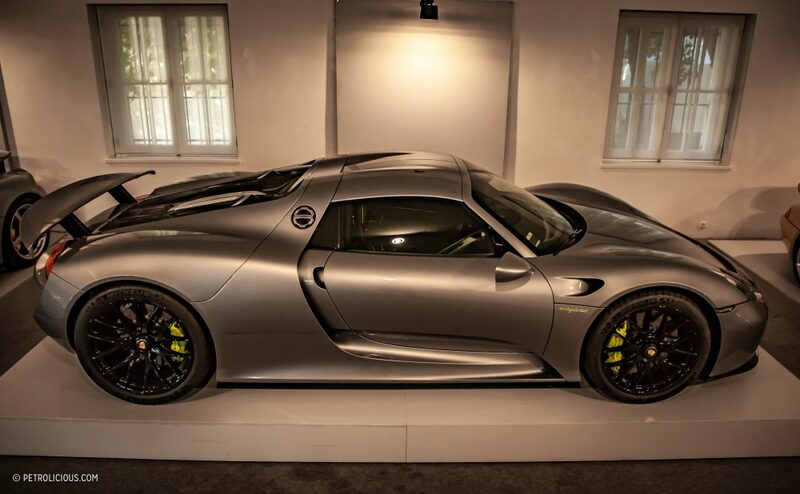 “Our grandfather used buy cars like these when his grandchildren were born. We were kids of the ‘70s, but then a late cousin was born in 1986 and he got this. We weren’t too old to be a little jealous,” Salvador says. 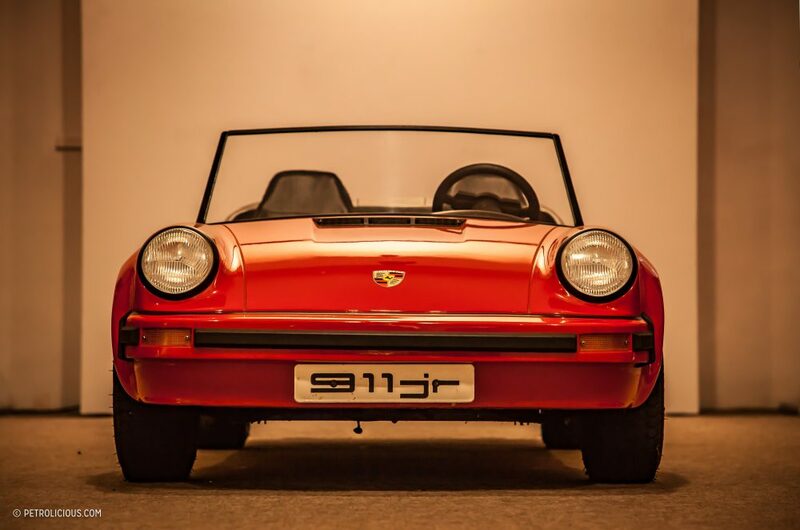 Juniors cost around £10,000 when they were new—about the price of some nice family saloons—and it’s a little strange to think that this little toy is worth more than my full sized Cayman S parked at home. 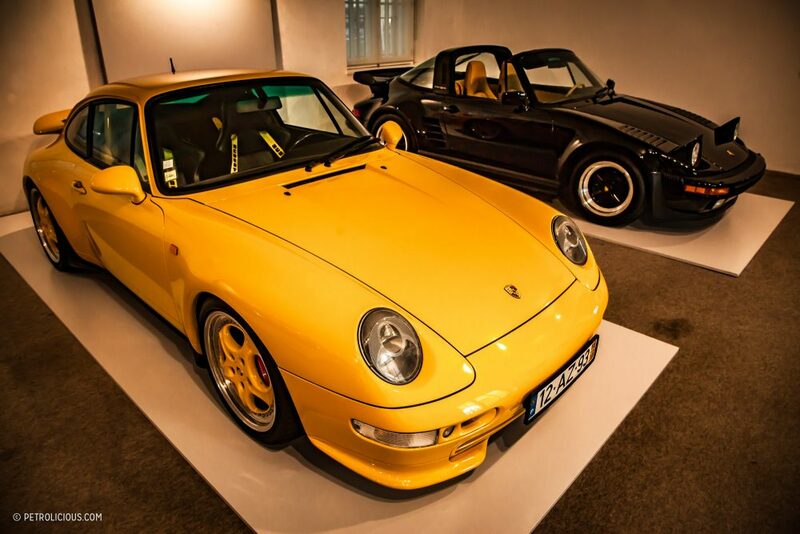 There are more than a few Porsche enthusiasts who will tell you that the ultimate iteration of the 911 is the 993. 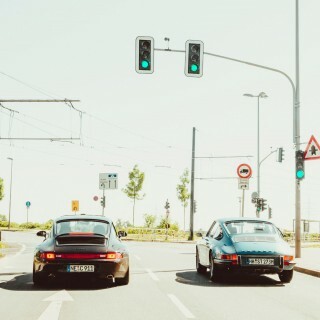 The last generation before the water-cooled 996, the air-cooled flat-six had had some thirty years of development time by the mid ‘90s when the 993 came out. 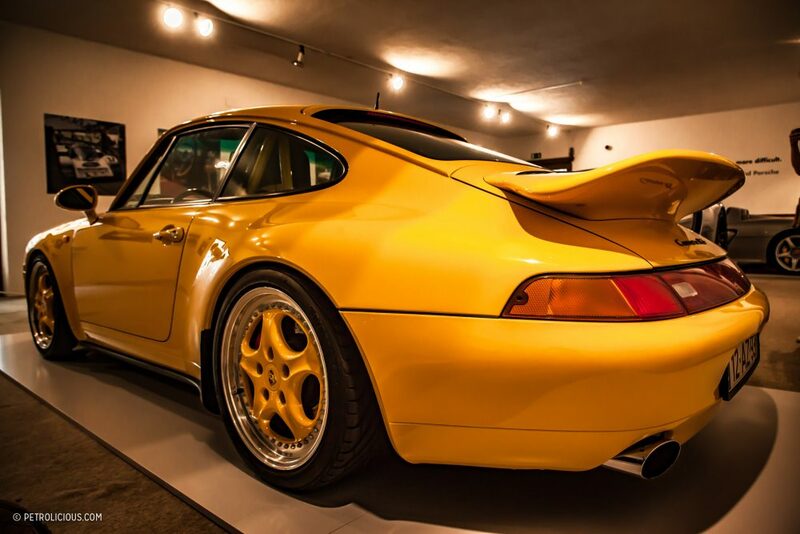 The Carrera RS Clubsport, also known as the RSR, was about as track-oriented as the 993s got, and is today among the most sought after and collected models in general, but one step down from that was the “standard” RS. With a welcome splash of color, that’s what we have here. 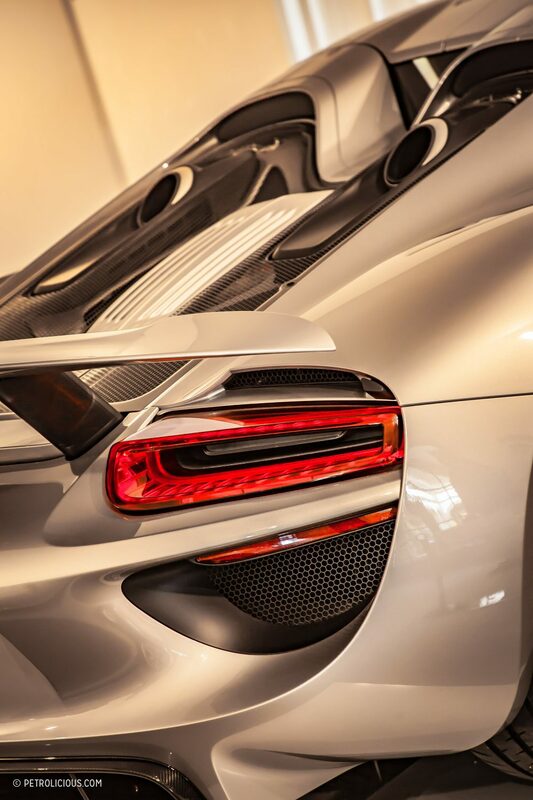 It’s a fantastic car in its own right, and there are a few stone chips on the front bumper of this particular RS, evidence that it gets to see some proper usage—despite the fact that its owner has 13 other Porsches to drive! 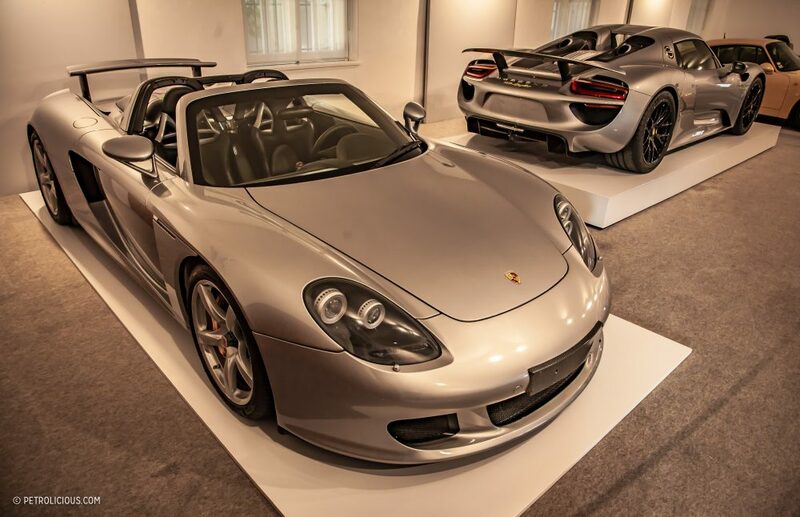 The pair of supercars next to it are both owned by the same person but were not bought to be driven, but rather as investment opportunities. 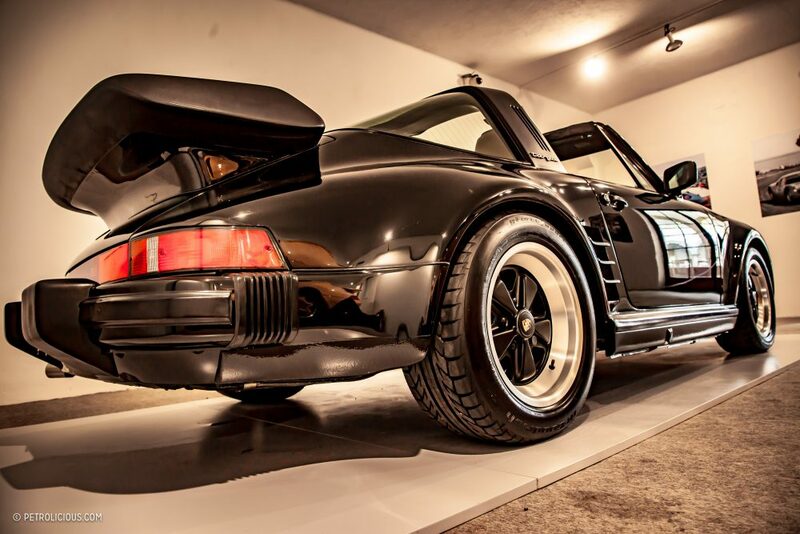 To each their own I suppose, but for all the guff we like to give to garage queens, there are enough cool cars in the world that some can be socked away. 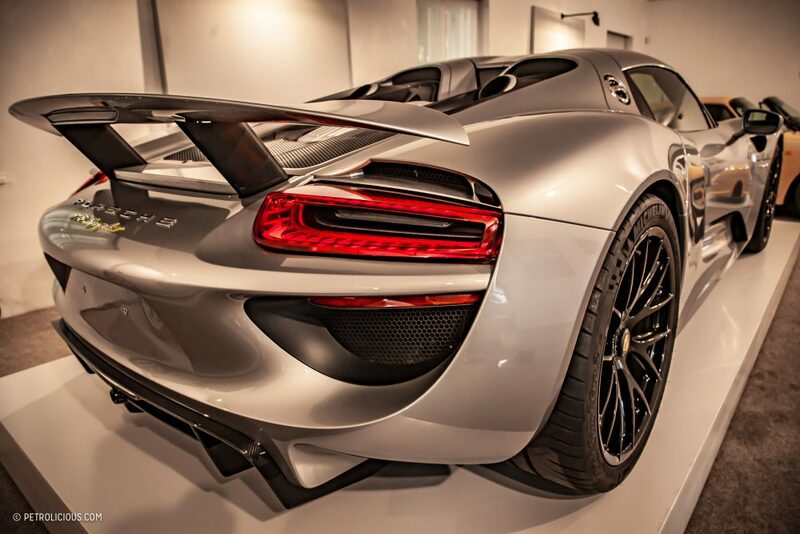 In the owner’s defense, if it cost a few hundred dollars in depreciation every time I took a trip to the supermarket I’d probably think twice about driving the 918 too. 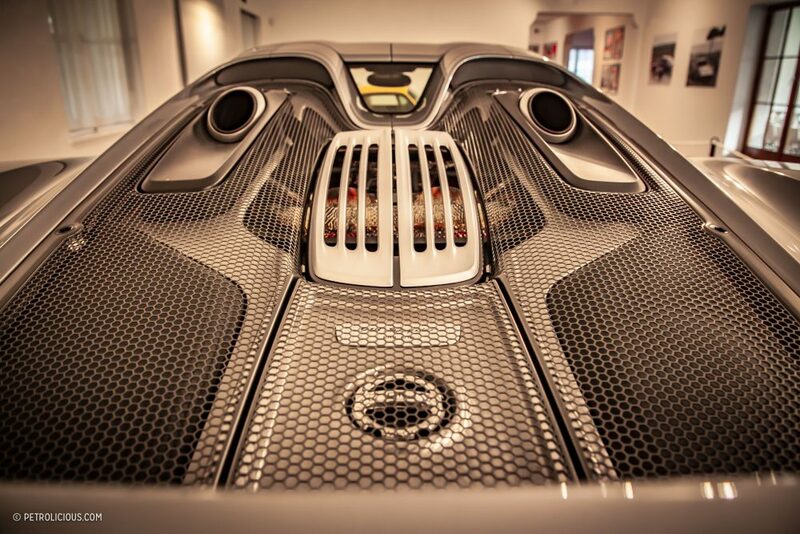 Even just parked, though, it’s a stunning and emotive piece of kit. I’ve seen a few blast past me at events before, but have never seen one on display like this in the open, and I appreciated the chance to fully indulge in all the design details. 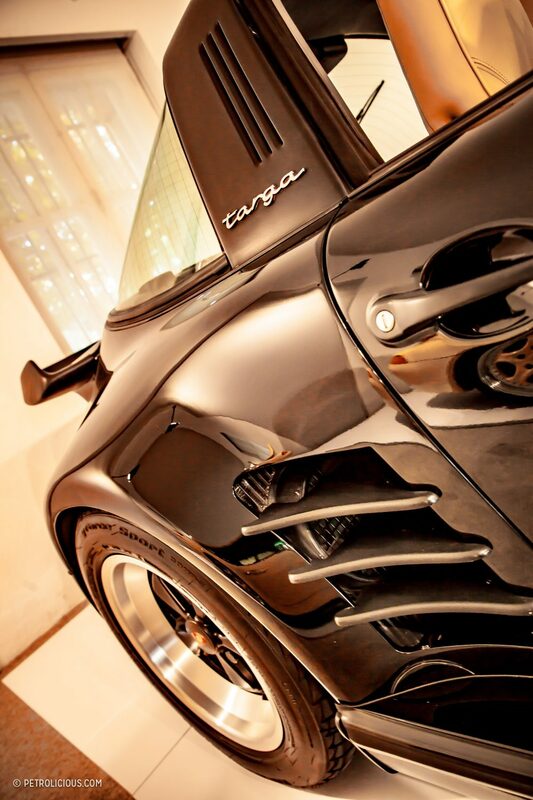 I lay on the floor staring at it for so long that my girlfriend Irina had to ask if I was OK. At ten years its senior, the naturally-aspirated V10-powered six-speed Carrera GT is also an incredible machine, for obvious reasons. 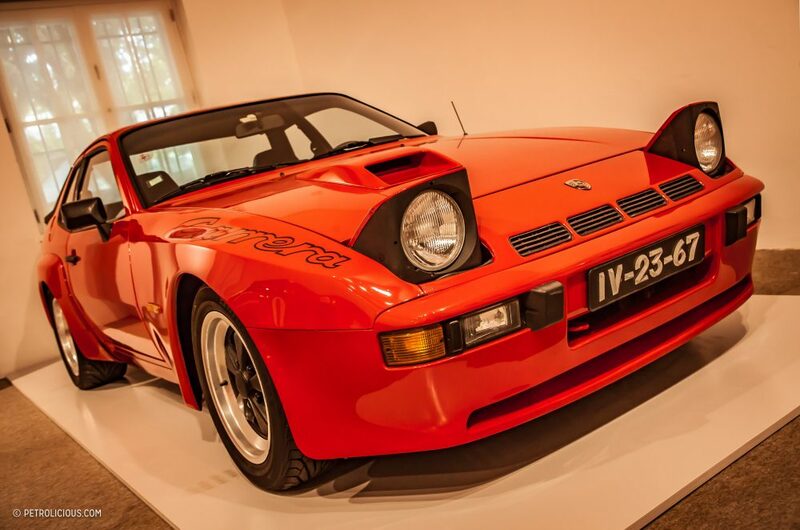 The Caramulo museum has over 100 permanent cars on display, and often puts on special exhibitions such as this Porsche one, and last year’s celebration of Ferrari. If you are in the area, roughly between Porto and Lisbon and a bit inland, I seriously recommend a detour to the hilltop. The hotel opposite is a pretty nice place too, and has some stunning views of more than just cars.